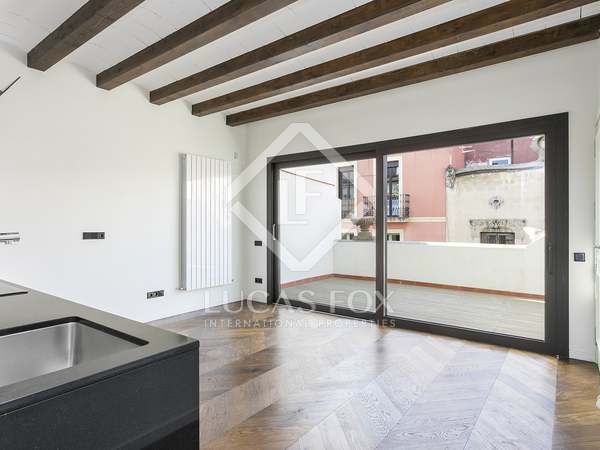 Bright, peaceful duplex property for rent unfurnished with a 50 m² terrace and parking space in the Gràcia neighbourhood of Barcelona City, near Park Güell. 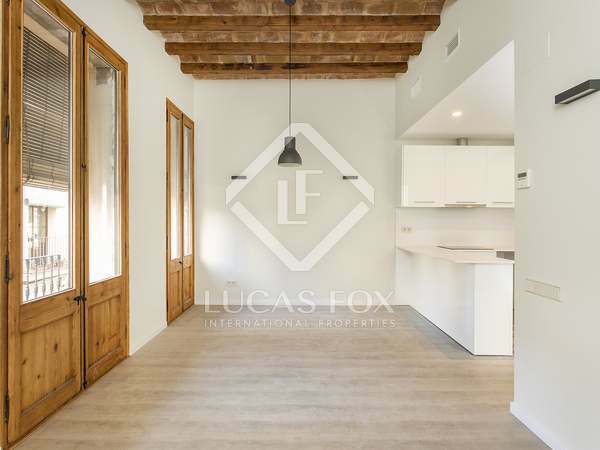 Lucas Fox offers an excellent selection of Gracia real estate for rent, including wonderful apartments in historic buildings with beautiful original features and more contemporary properties with large windows and bright, spacious open plan interiors. Vila de Gracia, originally a small town unto itself, was absorbed into Barcelona as the city expanded in the 1890s. Characterised by narrow streets and beautiful old public squares like Plaça del Sol and Plaça de la Revolució, the neighbourhood has a laid back vibe with a clear emphasis on relaxation and recreation. The area benefits from a good public transport network including several bus services and metro stations which connect it to the rest of the city in just minutes. Popular for its trendy and slightly bohemian atmosphere, Gracia has an abundance of bars, restaurants, cool independent boutiques and cultural venues such as galleries, cinemas and theatres dotted throughout the neighbourhood and along Gran de Gracia. The area really comes to life in August for the colourful local fiestas when the streets are decorated and live music and dancing fill the neighbourhood with joy. 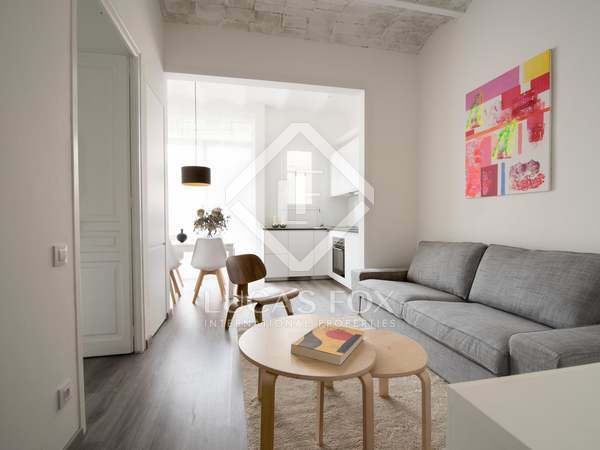 At Lucas Fox we have apartments for rent in Gracia on the ground, principal and high floor levels of buildings, all with different sizes and layouts to suit the varying needs of our clientele. 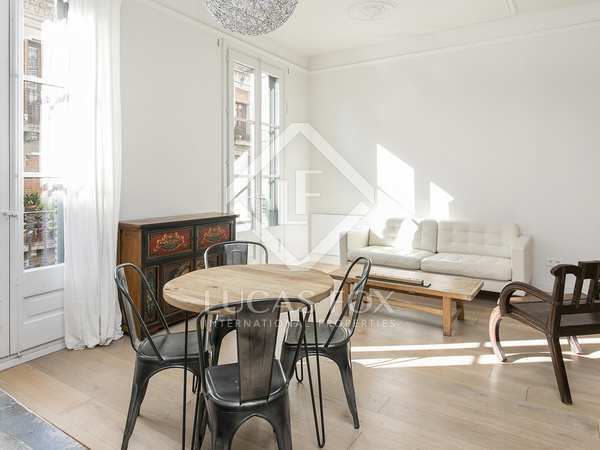 If you are looking for a luxury apartment to rent in the Gracia district of Barcelona, do not hesitate to visit our website and browse through our fantastic selection. Our experienced, professional and friendly multilingual team will be more than happy to assist you in finding the perfect rental apartment in Gracia and make the process simple and stress free.